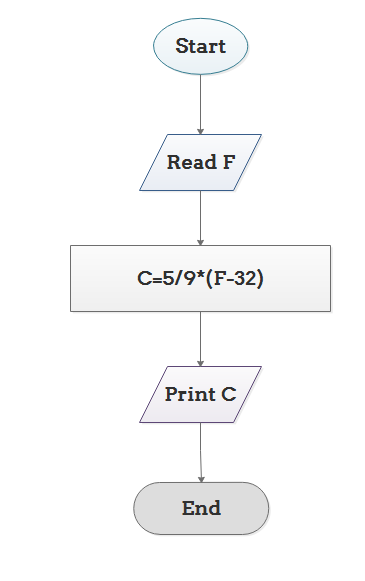 Algorithm and flowchart are two types of tools to explain the process of a program. This page extends the differences between an algorithm and a flowchart, and how to create a flowchart to explain an algorithm in a visual way. Algorithms and flowcharts are two different tools used for creating new programs, especially in computer programming. 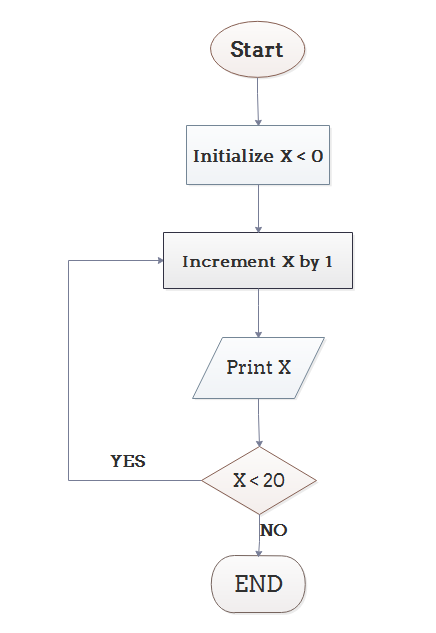 An algorithm is a step-by-step analysis of the process, while a flowchart explains the steps of a program in a graphical way. To write a logical step-by-step method to solve the problem is called algorithm, in other words, an algorithm is a procedure for solving problems. In order to solve a mathematical or computer problem, this is the first step of the procedure. An algorithm includes calculations, reasoning and data processing. Algorithms can be presented by natural languages, pseudo code and flowcharts, etc. The graphics above represent different part of a flowchart. The process in a flowchart can be expressed through boxes and arrows with different sizes and colors. In a flowchart, we can easily highlight a certain element and the relationships between each part. Now that we have the definitions of algorithm and flowchart, how do we use a flowchart to represent an algorithm? Step 4: If X is less than 20 then go back to step 2. From the above we can come to a conclusion that a flowchart is pictorial representation of an algorithm, an algorithm can be expressed and analyzed through a flowchart. An algorithm shows you every step of reaching the final solution, while a flowchart shows you how to carry out the process by connecting each step. An algorithm uses mainly words to describe the steps while a flowchart uses the help of symbols, shapes and arrows to make the process more logical.